Cooch, F.g.. "Waterfowl". The Canadian Encyclopedia, 04 March 2015, Historica Canada. https://www.thecanadianencyclopedia.ca/en/article/waterfowl. Accessed 22 April 2019. Waterfowl is a general term used for members of the family Anatidae, composed of closely allied species commonly known as ducks, geese and swans. 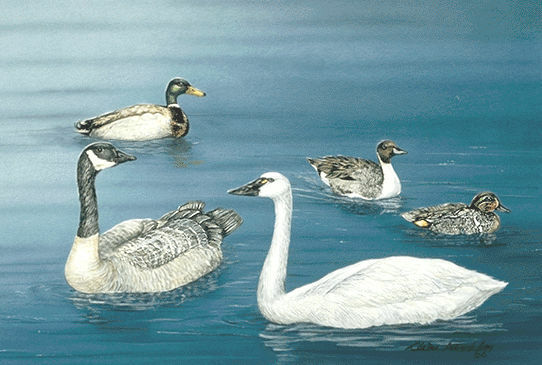 Mallard (top left), northern pintail (centre top), green-winged teal (top right), whistling swan (lower right) and Canada goose (artwork by Claire Tremblay). 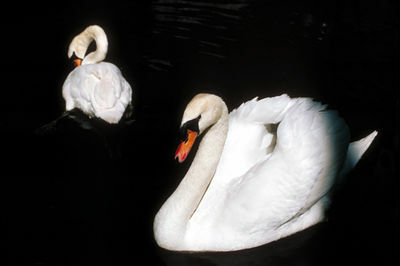 The mute swan, native to Eurasia, has become established as a breeding bird in Canada (Corel Professional Photos). 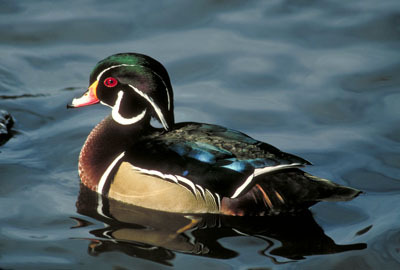 Wood ducks nest in holes in trees, often near water (Corel Professional Photos). Waterfowl is a general term used for members of the family Anatidae, composed of closely allied species commonly known as ducks, geese and swans. Scientists divide the family into 3 subfamilies, 2 of which are found in North America. The third, the primitive Australian Anseranatinae, contains the magpie geese (Anseranas semipalmata), which are not true geese. Waterfowl have worldwide distribution and contain flightless species as well as others capable of long migrations. Some species, eg, northern pintail (Anas acuta), have very wide distribution; others are restricted to a few ponds on remote islands. 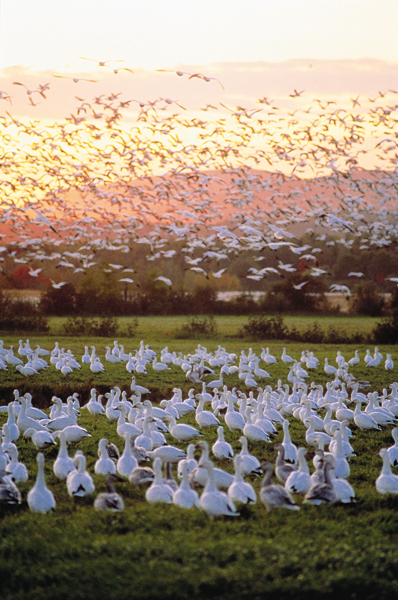 Three species of swans, 5 of geese and 29 of ducks breed in Canada. Waterfowl range in size from pygmy geese (Nettapus ssp. ), averaging 300 g when fully grown, to North American trumpeter swans (Cygnus buccinator), exceeding 13 kg and having a wingspread of 250 cm. 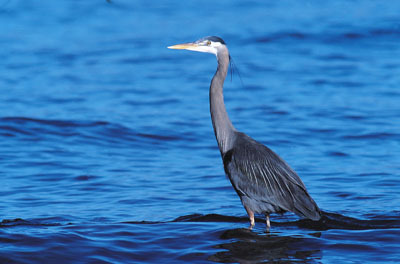 In late summer as many as 80-100 million waterfowl are found in North America. Unfortunately, one duck species native to eastern Canada, the Labrador duck (Camptorhynchus labradorius), is now extinct.